This is the complete list for all the songs played on How I Met Your Mother. You can also listen to the songs directly from this page! They are divided by episodes, and since there are different seasons, I am creating a lens for each one. Enjoy the HIMYM Songs in Season 1! No information here so far... under research. If the end of Friends left a hole in your life, take a look at How I Met Your Mother. A love story in reverse: How I Met Your Mother is a fresh new comedy about Ted (Josh Radnor) and how he fell in love. When Ted's best friends Marshall (Jason Segel) and Lilly (Alyson Hannigan) decide to tie the knot it sparks the search for his own Miss Right. Helping him in his quest is his bar-hopping "wing-man" Barney (Neil Patrick Harris), a confirmed bachelor with plenty of wild schemes for picking up women. Ted's sites are set on the charming and independent Robin (Cobie Smulders), but destiny may have something different in mind. Told through a series of flashbacks, Ted recalls his single days, the highs and lows of dating and the search for true love. 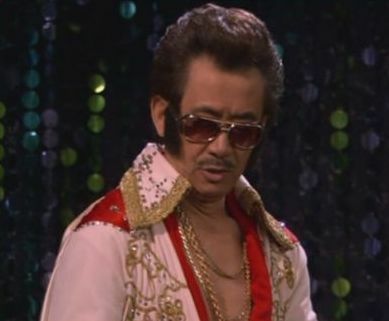 How Much Does Korean Elvis Rock? What's your favorite How I Met Your Mother Season One Song? Absolutely one of my all time favorite shows! Great lens!